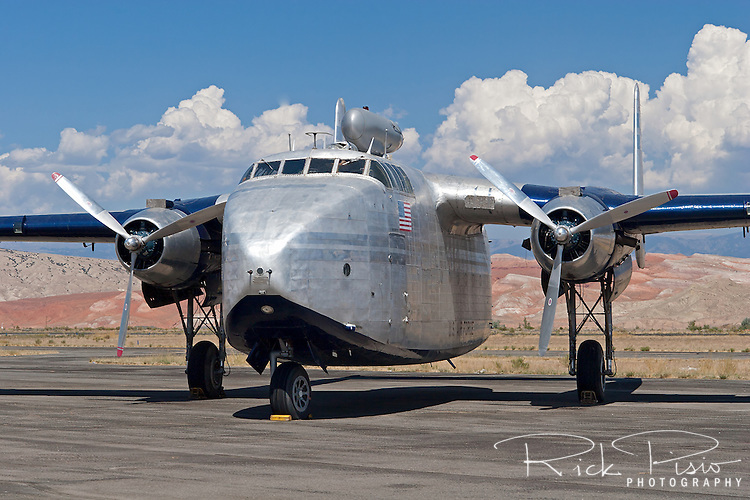 The Hawkins and Powers Fairchild C-82 Packet sits on the Greybull, Wyoming, tarmac prior to being auctioned in August of 2006. Originally delivered to the Air Force in 1948 with serial number 45-57814, the packet has also been flown under the TWA markings in Europe, Northern Pacific Transport in Alaska, and Briles Wing and Helicopter in Long Beach, California as well as Hawkins and Powers. On August 23rd, 2006, the C-82 Packet was purchased by the Hagerstown Aviation Museum in Hagerstown, Maryland for $127,500. The C-82 will be returning home since more than 200 of the aircraft type were manufactured by Fairchild Aircraft in Hagerstown in the 1948.